Here at PhotoWings, we are always amazed at the ingenuity and intelligence photographers bring to their craft. Whether it's Henri-Cartier Bresson meditatively waiting for his decisive moment, the quick thinking conflict journalism of Robert Capa, or Ansel Adams innovating in the darkroom to create mind-blowing prints, photographers utilize a wide variety of skills to be successful at their work. The department, which is under the direction of deputy photo editor Ken Geiger, once employed ten or more engineers and technicians. 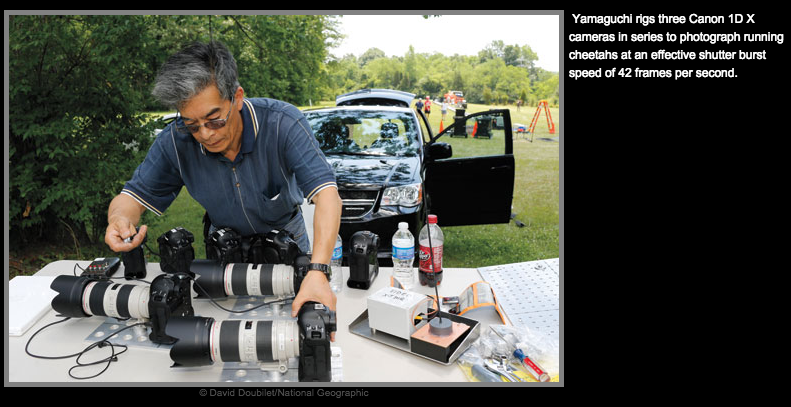 It is now down to just two: Mathews, who was trained as an electronics specialist in the Navy before joining National Geographic nearly 20 years ago; and Yamaguchi, who joined nearly 32 years ago as a Nikon camera repairman. His skills as a technical problem solver are the result of accumulated experience under many of the department’s now-retired staff, he says.